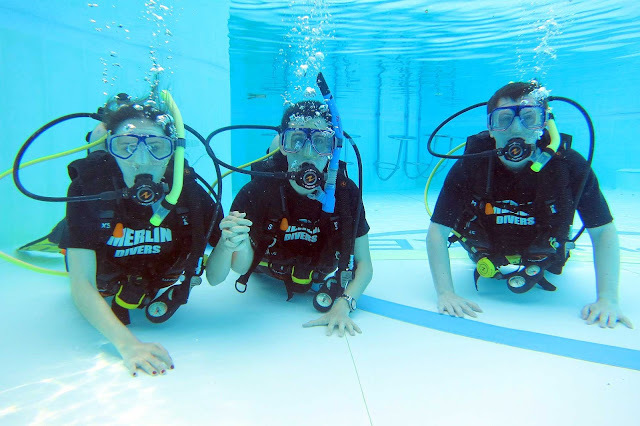 Do you harness a passion for scuba diving and would like to do something non-traditional? Being a diving instructor is mostly out of passion and not really a traditional career as they would say, so before you get into it, it’s important that you know the difference. But, if you are resolved to train others because you simply like people and the job, there’s no one to stop you and the first step towards it is to learn scuba diving. So, for the start the primary job of a diving instructor is to train underwater divers that include free and recreational divers. Professional and technical divers from further sub-categories who then prepare you for scientific, commercial, public safety and military specialties. It’s important to note here that every jurisdiction has their own set of regulations and code of practices, and requires certain qualifications and registration for the dive instructor training. This is to ensure that they train their clients with utmost safety, as they work in an environment with underlying risks that a novice or an outsider may not be aware of. While recreational divers are generally certified members of more than one recreational divers certification companies, military diving trainers are usually armed force members coaching their staff. Commercial divers on the other hand may be essentially needed to register with firms that are government delegated for the nation. However, the stipulations may be different in other parts of the world so, it’s imperative that they keep that in mind during the training. There are many agencies providing the dive instructor training with the leading agencies offering 5 diving courses. Registering for these courses can be beneficial for your diving career in the future. Open water training which is the entry level course, is usually spread over three to four days based on the number of students, and ends with an exam. This follows with the advanced open water program that includes a five dive course, and is generally spread over two days. It features two mandatory diving techniques and three others that can be selected from the long list. Your training moves a level up with the next, rescue diver program that teaches you to focus on the new divers and help them when needed. No prizes to guess, that for this level you should be a pro in the first two courses. The divemaster course, which takes a minimum of 4 weeks and can extend upto 6-8 weeks, needs you to assist your trainers while you perform some swimming tests. The 5 diving course ends with the Instructor Development Course (IDC) that generally extends upto 10 days and includes two courses such as, the open water instructor program, and the assistant instructor program. As you can see that to become a professional dive instructor training you need a lot beyond just learning the basic skills. But, if it’s your passion then you would definitely want to get into the groove. So, tighten your belts and plunge into the mysterious and amazing world of scuba diving.